Depreciation accounting methods can trim revenue shortfalls. Utilities and regulators are stuck in a rut, treating rate-base assets in a traditional way and depreciating their value according to a straight-line calculation. But alternative accounting methods might provide a more accurate and financially justifiable way to treat depreciation of utility capital assets. Where tax rates are too high, grid investments suffer. 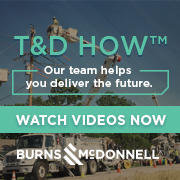 As the industry works to modernize the national T&D infrastructure, utilities are investing dollars that ultimately increase their cost of service—and therefore end-use prices. To cover their investments, many companies are taking a close look at their tax-management policies. Evolutionary directions for electric system architecture. How will the technology and policy changes now sweeping through the industry affect the architecture of the utility grid? Will America build an increasingly robust transmission infrastructure, or will we rely more on distribution intelligence and microgrids? Scholars at California’s Institute for Energy and Environment analyze various scenarios to predict the possible futures. FirstEnergy closes $4.7 billion stock acquisition of Allegheny Energy; BHP Billiton agreed to by shale gas interests from Chesapeake Energy; Capital Power to acquire gas-fired cycle power plants from Brick Power Holdings and others. A proposal for utility regulatory and industry reform. With America’s balkanized and under-staffed regulatory construct, utility companies are left struggling to achieve true scale economies or make real progress toward achieving national energy goals. This retired IOU executive says it’s time to redesign—and strengthen—the regulatory framework.